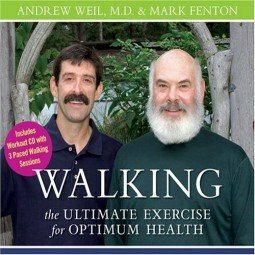 Walking: The Ultimate Exercise for Optimum Health is available on our online store. This prayer is part of a nine-day Navajo ritual called the Night Chant. This information is exactly what I’ve been searching for. Thank you so much. I’m sorry to hear about your grandpa’s demise, and I hope the funeral goes well. Great website! I’ve really been digging applying what I’ve learned here to my daily walks! Very informative, clear and well written! Hi: I”m a nature walker myself, and also have been practising walking meditation for over 5 years now. Walking meditation was also followed by Shri Aurobindo, a revolutionary and a spiritual guru (from India who lived during Gandhi’s time). Its a powerful practise of getting in touch with your innermost core, your divine core. Walking meditation has wrought unbelievable changes in me and my perceptions of self and my relationship with the cosmos.